First dam STARRY DREAMER is a three-time stakes-winner and multiple Graded stakes-placed (G1). 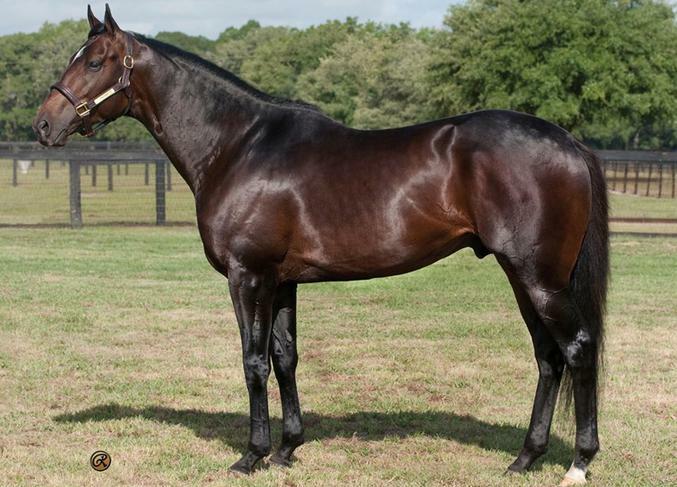 She is the dam of seven foals to race, seven winners, including FACTUM's SW half-brother, Leading Sire WAR FRONT, multiple Graded stakes-winners TEAMMATE and ECCLESIASTIC, and stakes-winner and Graded stakes-placed Riviera Cocktail. Half-brother WAR FRONT ($250,000 stud fee) is the sire of 40 SWs (12 in 2015), 23 Graded, 12 Grade 1 - including 2015 Breeders' Cup Juvenile Turf-G1 winner HIT A BOMB; progeny earnings of nearly $33 million from five crops of racing age. 2015 yearlings averaged $608,904 at auction; second-leading sire at Keeneland September with more than $12 million in sales. FACTUM'S sire is the Great STORM CAT who commanded an all time high stud fee of $500,000. He is sires of sires and a top broodmare sire. FACTUM is a young sire with a BLACK TYPE STAKE PL. WINNER in his first foal crop. While statistically siring 50% winners from runners.